We just released a new Feature. 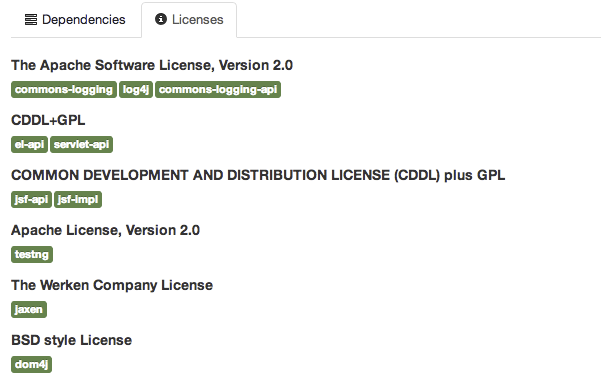 In the project detail view we are showing now the licenses to the current project. We are looking for feedback to this features.